Feel like a nice cuppa? In Arlington, we like it brewed fresh and hot. If it’s hot drinks you’re after, Arlington has dozens of hot spots all over. And if Arlington had a coffee capital, it would probably be its Clarendon neighborhood. Northside Social, a Clarendon coffeehouse, is like an Arlington institution. The two-story neighborhood hangout has an outdoor patio. Chill, relax or study alongside local university students. Come for the coffee, stay for the happy hour wine. Also in Clarendon, at Bakeshop, have your coffee with macarons, cupcakes… and get rewarded for your fuzzy face. Get a bearded customer 5 percent discount, because “Bakeshop appreciates your beard” although it “must be tuggable.” Talk about facial recognition! Want to kick off your day the Balkan way? Tuck into Clarendon's Ambar and enjoy coffee with unique breakfast sandwiches and bold flavors. Savor Turkish coffee: finely ground, unfiltered, giving aroma and flavor, and served with a side of walnut Turkish delight. Two shots of espresso, perhaps a macchiato, or maybe an iced coffee? We weren’t kidding when we said there are coffee shops all over: Arlington is brewing a whole latte love one cup at a time. At Blumen, tea matters. Enjoy a unique selection of organic teas imported from Japan, Thailand and China. In Rosslyn coffee is serious business, amid the tall office buildings. Try Rosslyn office workers’ favorite Compass Coffee while you relish your time on vacay. Want your coffee with pastries and cakes? Buzz Bakeshop in Ballston offers a myriad of sweets, from freshly baked cupcakes and rich fudgy brownies to decadent cream cheese filled pumpkin muffins. At Natural Café you can grab a breakfast sandwich with your cup of joe. Or try the stylish Republik Coffee Bar for nitrogren-infused iced coffee and espresso con panna among other elegant offerings. For nitro brews, pour-overs and espresso in the Pentagon City neighborhood, try Commonwealth Joe Coffee Roasters. Their nitro cold brews on tap, lattes and pour-overs never disappoint. “People can taste the difference with our Nitro Cold Brew,” says Robert Peck, co-founder. Peets in Shirlington offers its original craft coffee as well as seasonal beverages. Best Buns proudly brews Starbucks coffee, and you can enjoy it with a red velvet cupcake, giant oatmeal cookie or pick up any of their artisan breads too. 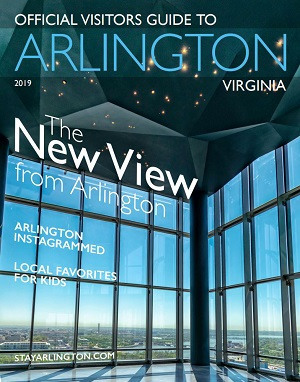 You will also find more than a dozen other Starbucks locations spread across Arlington from Market Common to the Lee Heights Shops to the Crystal City neighborhood. In Crystal City, you can also fuel up at The Stand, located in the Crystal City Water Park. What's better than sipping hot coffee on a park bench? Use #stayarlington on Instagram for the opportunity to be featured on our site!